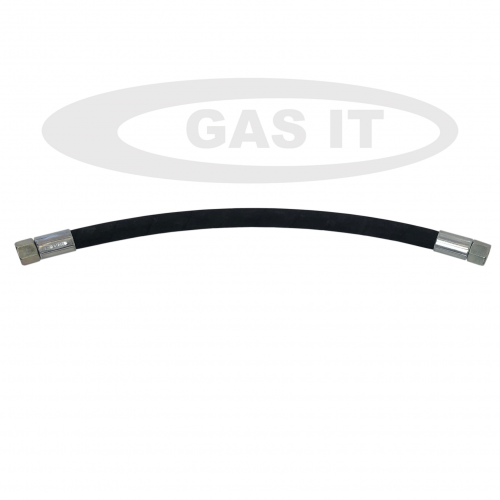 GAS IT fill hose 0.75 mtr GI-FH-002 - GAS IT Leisure Gas Bottles, Gas Cylincers and Gas Tanks - Catering, Motorhome, Campervan, Caravan, Farrier and Road Repair Refillable Gas Solutions. 0.75 mtr SAE Fill Hose 'Hydraulic Style' E67.01 Hose with Straight fittings on both ends. We also have listed on this webshop the same SAE Fill Hose but with a straight end and an angled end which is what is commonly used in all our bottle and tank kit builds. These SAE Fill Hoses are held in stock in lengths from 0.5 mtr up to 3 mtr. Sizes over this can be made or 2 or more hoses can be connected together with a separately purchased Male Male connector - sold on our webshop.